It’s always Smoothie time in my house! 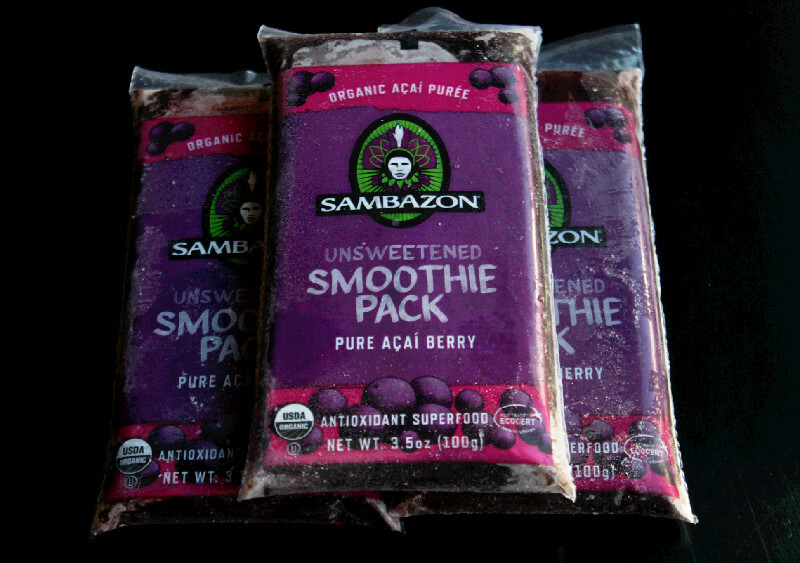 The wonderful people at Sambazon sent me their great Acai Puree Smoothie Packs for product testing. If you’re wondering exactly what is a Acai Berry? The inch-long reddish, purple Acai berry comes from the Acai palm tree, which is native to Central and South America and packed full of antioxidants that are good for you! 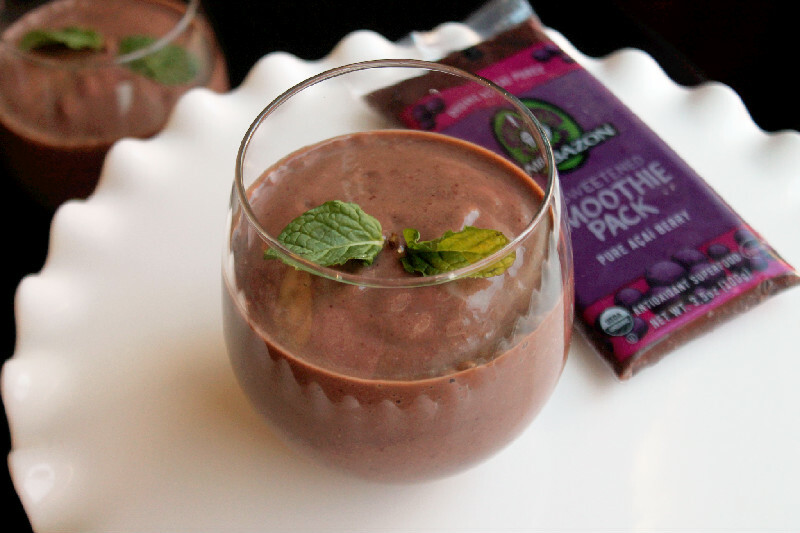 I created a Tropical Acai Berry Smoothie by adding Mango and Coconut flavors to my Acai Smoothie packs. The results, it’s a tropical party in your mouth! I love the hint of chocolate and almonds with mango and coconut, and the Acai Berry just brings everything together. 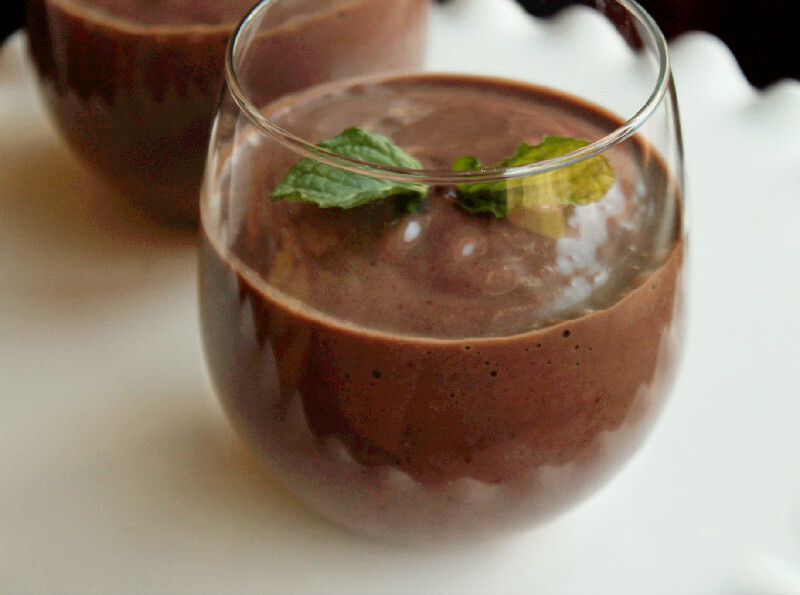 This smoothie is energy in a glass! I know I stated it was two servings, but I highly suggest you double the recipe, because I drunk both servings all by myself. Add all ingredients to the blender, minus the mint, blend well and garnish with mint.